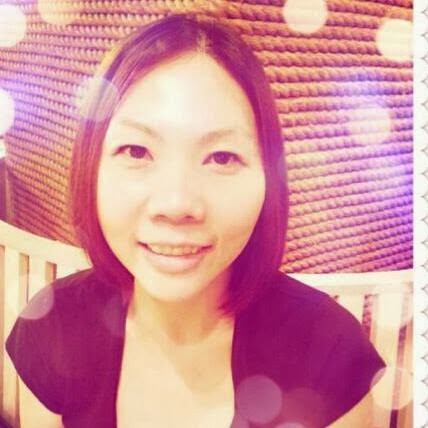 My guest blogger, Ling Fang has attended the Nuxe Bloggers Event last month. 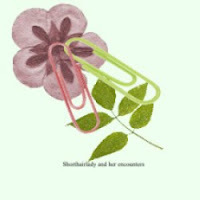 Let us see what she has say about the Nirvanesque Launch Event at Blisshouse Theme Restaurant. When someone mentions the French brand Nuxe, the first product that comes to my mind is the multi-purpose dry oil, Nuxe Huile Prodigieuse. 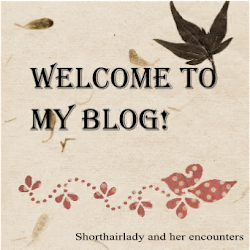 It is something that I really like because of it’s multi-purpose function—I can use it on my face, body and hair, though I use it on my hair most of the time. 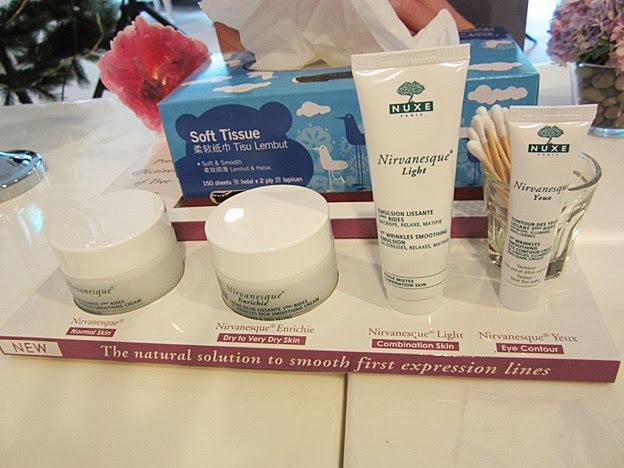 The launch of a new range of anti-aging skincare from Nuxe is held on the 29th November 2013 at Blisshouse Theme Restaurant at The Central (Clarke Quay). This range is called Nirvanesque which targets the first expression lines on our faces. It is suitable for women from the early thirties to forties who have their first signs of aging by way of expression lines. This range consists of 4 products and has 4 patents pending. 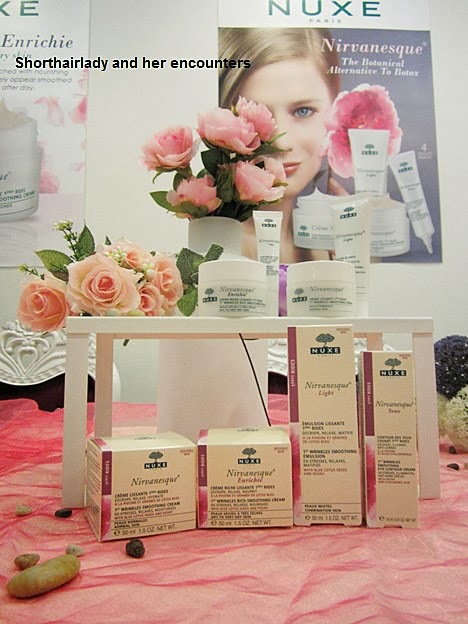 The tagline for this range is “The Botanical Alternative to Botox”. With such a tagline, I am already interested to give the products a try. After all, why not try something that promises the effects without the needles? 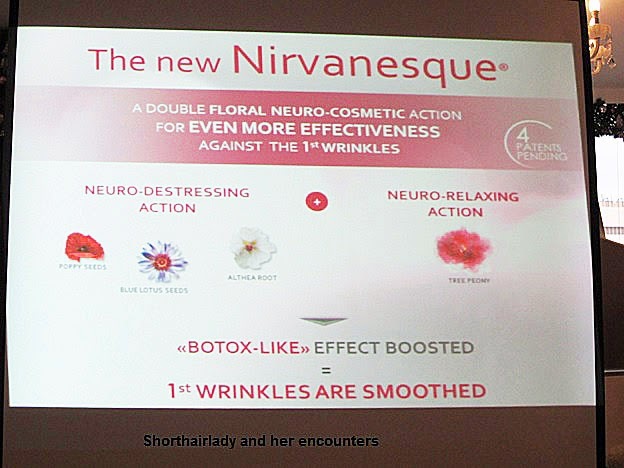 Nirvanesque products work with “Double Floral Beuro-Cosmetics Action”, which is a “neuro-relaxing action” and a “neuro-destressing action”. The natural active ingredient which gives the neuro-relaxing action by prolonging the life of enkephalins (“well-being” molecules) is the tree peony extract. 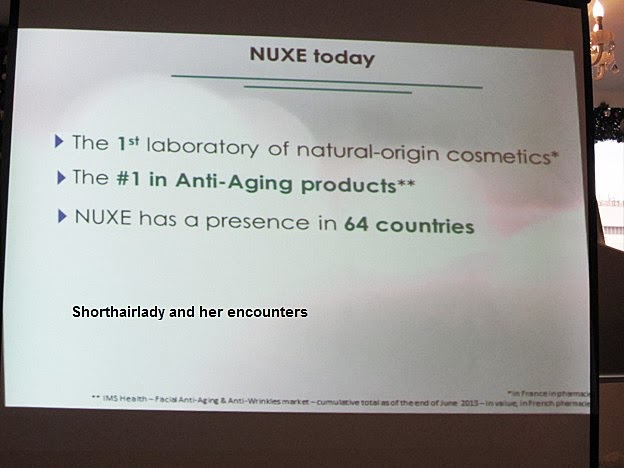 This was developed from a novel scientific approach at Nuxe called “Reverse Pharmacognosy”. The natural ingredient which gives the neuro-destressing action is a complex of blue lotus seed, poppy seed and althea root. 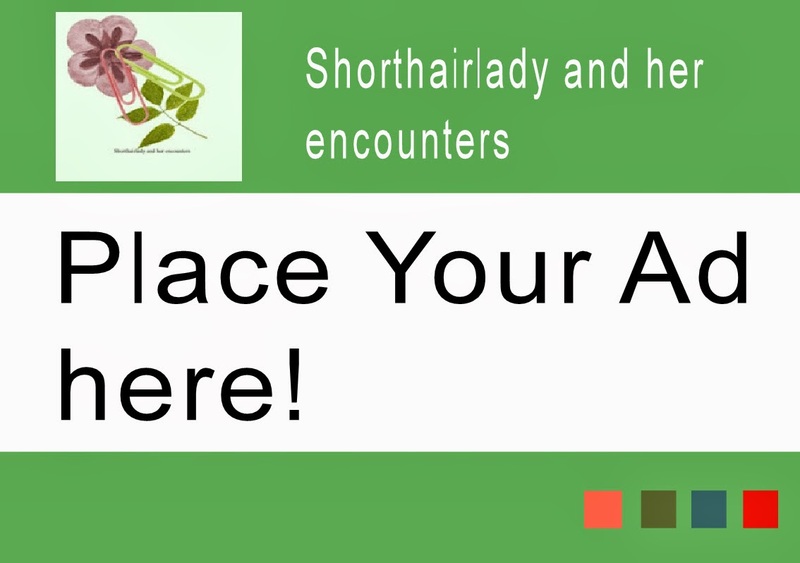 This complex diminishes skin micro-tensions at the source of their formation. The anti-aging Nirvanesque range consists of 4 products: Nirvanesque for normal skin, Nirvanesque Enriche for dry skin, Nirvanesque Light for combination skin and Nirvanesque Yeux eye contour cream. Ingredient: It contains hyaluronic acid of natural origin to smoothen. Personally, I will try the Nirvanesque Light and Nirvanesque Yeux products, because I have combination skin and also dark circles. I have tested both at the launch, and I like the texture and feel of both the Light and Yeux. I do not get a greasy feeling and the creams are easily absorbed. The cream for the dry skin product is very thick (as dry skin creams are), so no surprise there. If I were to buy the cream for normal skin I would use it at night. If you have read my previous post, I like paraben-free products a lot and am glad to find out that all Nirvanesque products are paraben-free. 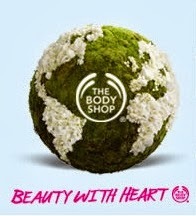 Another plus point for this company for me is their concern with CSR (Corporate Social Responsibility). 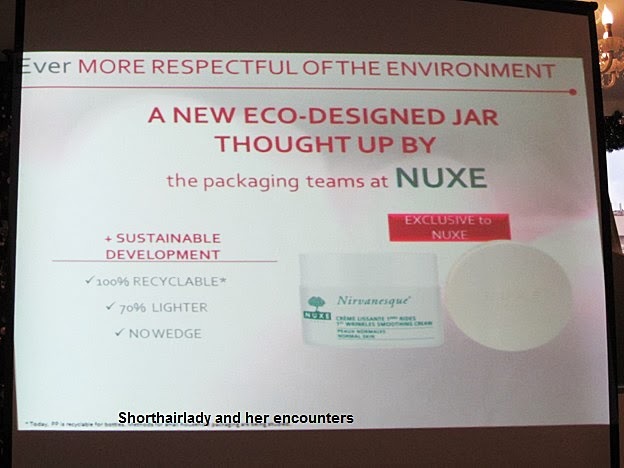 Nuxe contributes to environmental protection by prioritising recyclable materials and reduce paper consumption. 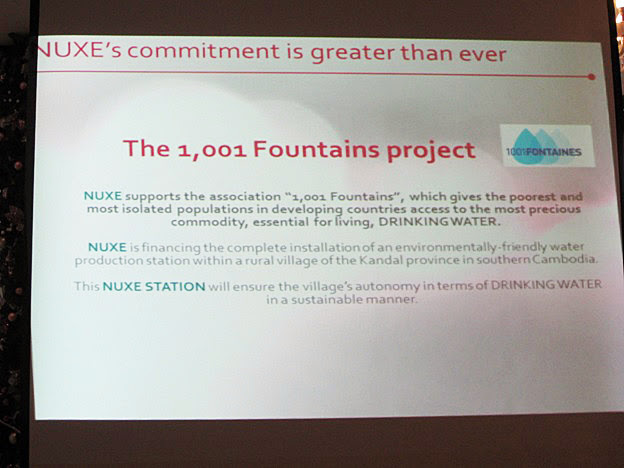 They also support the “1001 Fontaines”, an organisation that installs drinking water fountains in developing countries to improve residents’ health. The Nuxe Nirvanesque range is available at all Robinsons, John Little, Beauty by Nature (Parkway Parade, ION Orchard, Vivocity) and selected Watsons stores. 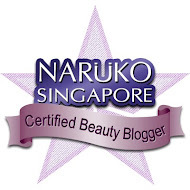 Lastly, please like Nuxe FB Page: https://www.facebook.com/nuxe.sg for more Promotions and Products Updates.